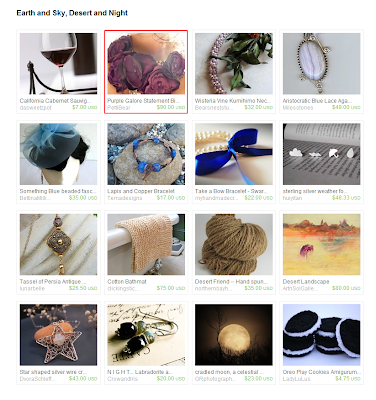 "The colors of inspirations are all around us "...said dellcovespices the creator of this unique treasury featured with my Purple Galore Statement Bib Necklace and I totally agree with that! I get inspired from my surrounding a lot ,sometimes even food can inspire my muses...I don't talking about eating it... (although,eating is great too) but more the vibrant colors of the spices can really trigger my creative juices!!! large custom magnetic spice kit. Recipes included and personalized. Gourmet wedding gift of 15 tins, where YOU PICK the spices. Hawaiian black lava salt. Taste the sea. "We think cooking is fun". You never know what you'll discover! "For us, it's a way to relax and share the stories of the day, and a means of showing affection to those close to us". "We fell in love over bowls of spicy gumbo and platters of freshly shucked oysters. We travel for work, which lets us explore farmers markets, Amish produce auctions and hidden spice shops in big cities and tiny towns". We live by this simple mantra: "It’s good to play with your food".